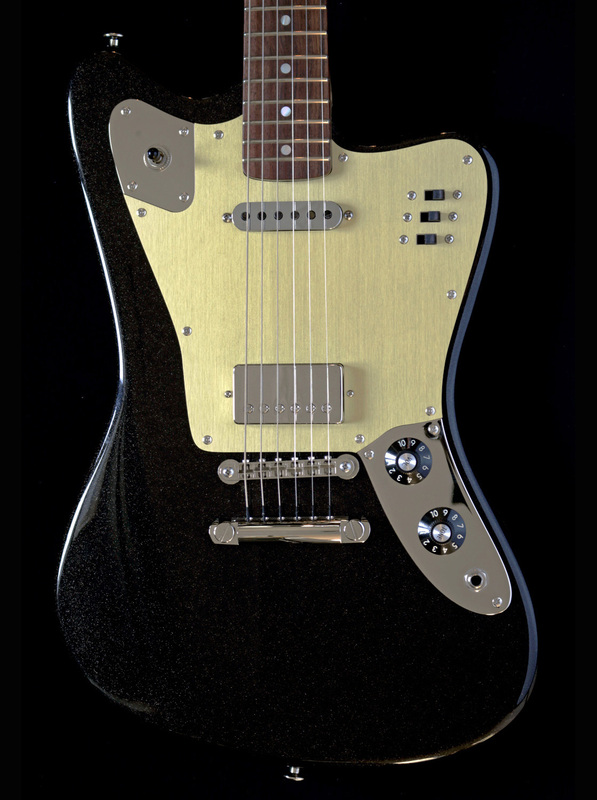 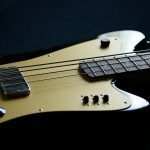 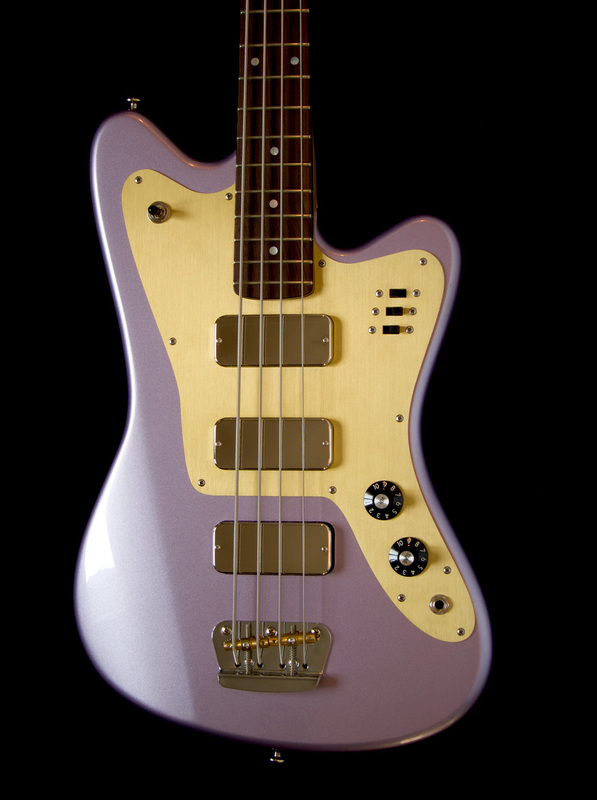 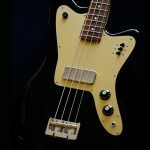 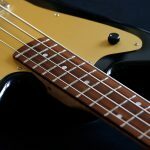 Heinz Rebellius, long term editor of famous German guitar magazine Gitarre & Bass and guitar + bass player of Germany´s best known alternative countryrock-band »Cliff Barnes and the Fear of Winning«, ordered this version of the Deimel Firestar Bass. 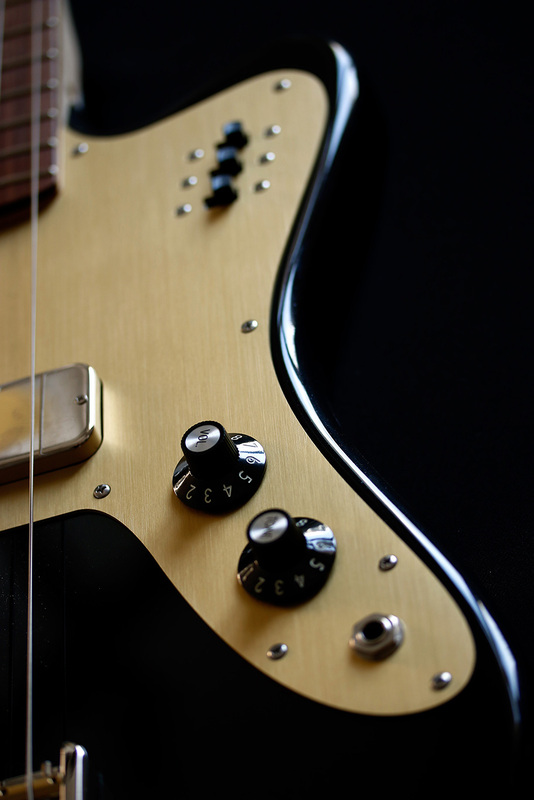 He said, »no compromise, just one great sound. 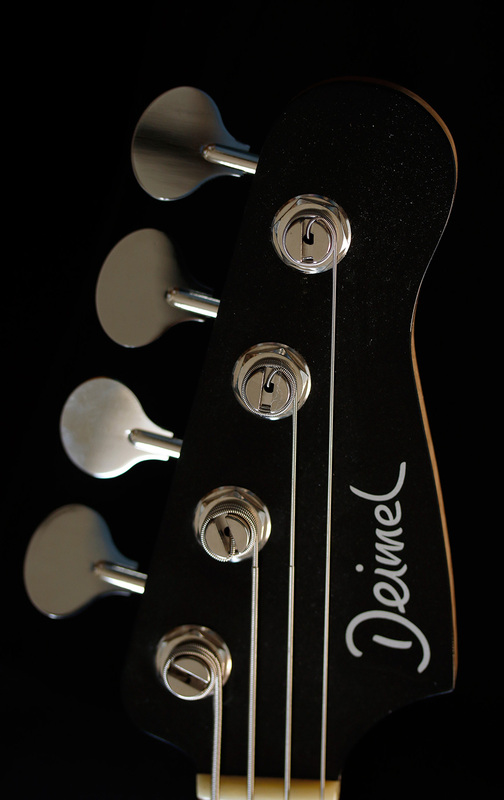 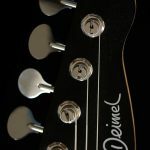 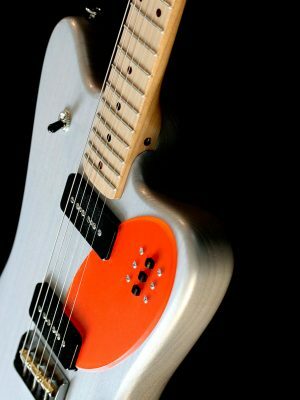 Maybe one or the other effect, but one pickup.« Okay, we agreed and went for the most pounding position, the middle one: a single Lollar Thunderbird. 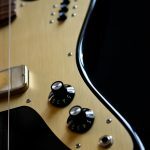 Keeping this concept we hid all the other ideas. 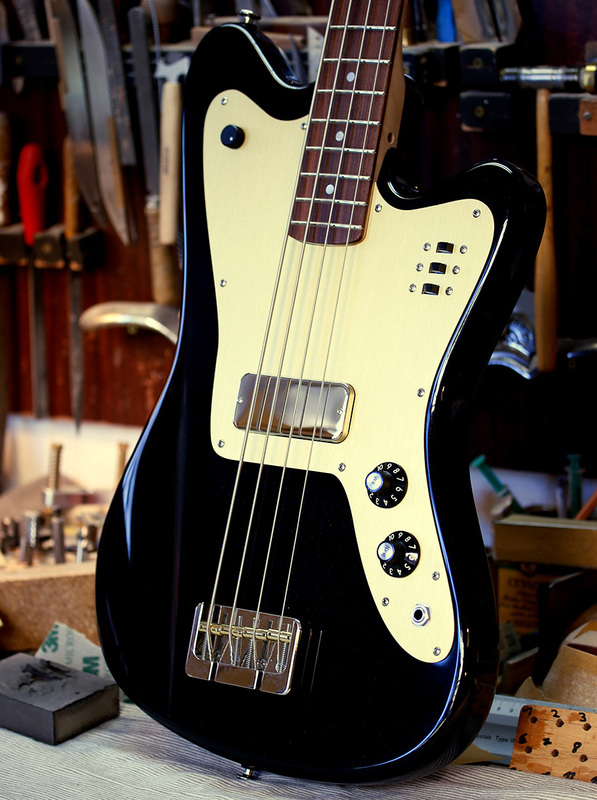 Hand built of yellow poplar and a figured maple neck with a rosewood fretboard, this bass provides all the classic pure bolt on tones known for centuries. 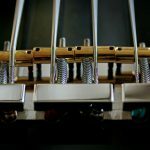 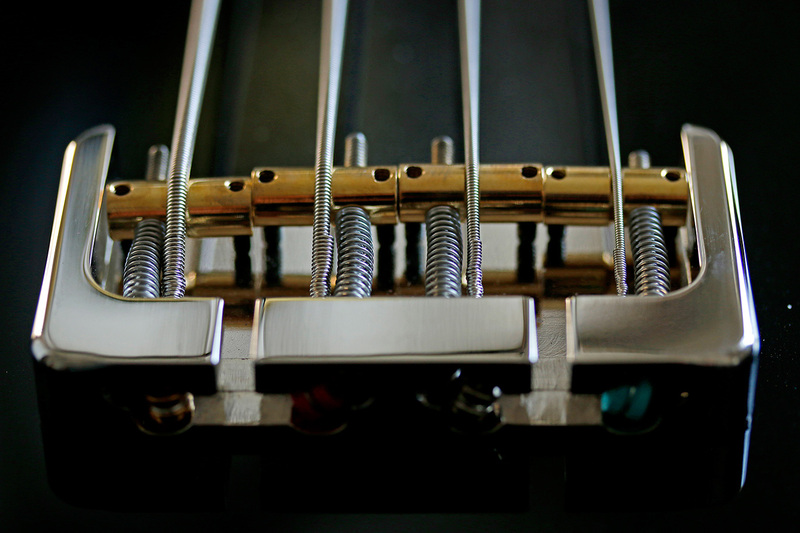 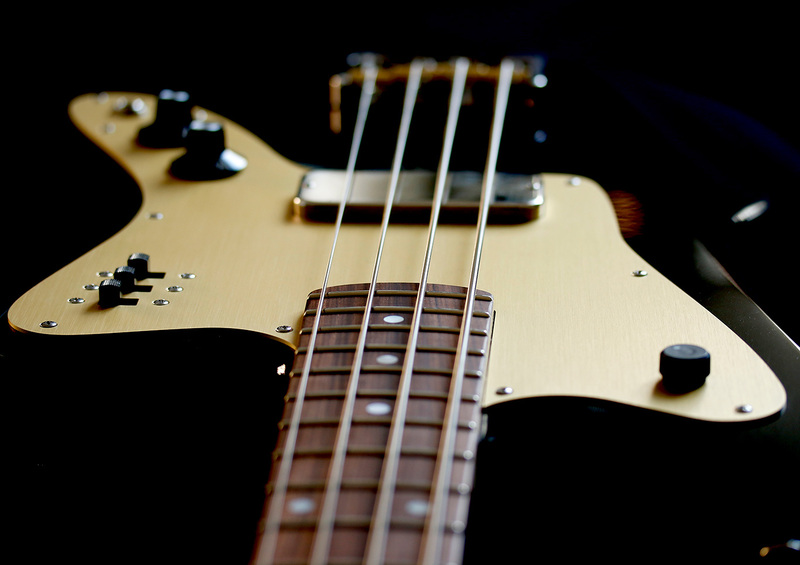 Last but not least the bass has a built in piezo disc pickup, and upon Heinz’ request, a built in fuzz effect from Bernd C. Meiser, which can be »rolled in« with the upper horn potentiometer. 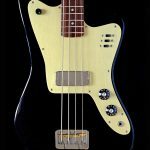 You get the most finest mix of fuzz and clean bass sound! 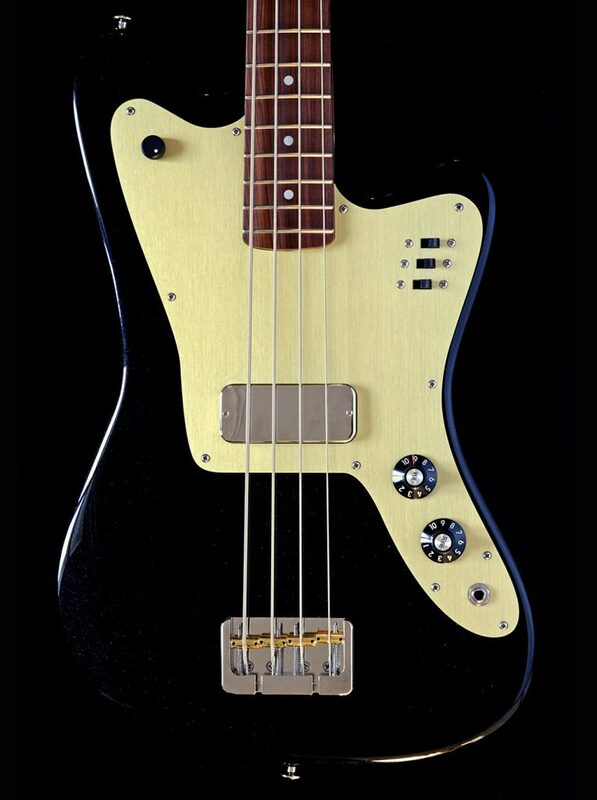 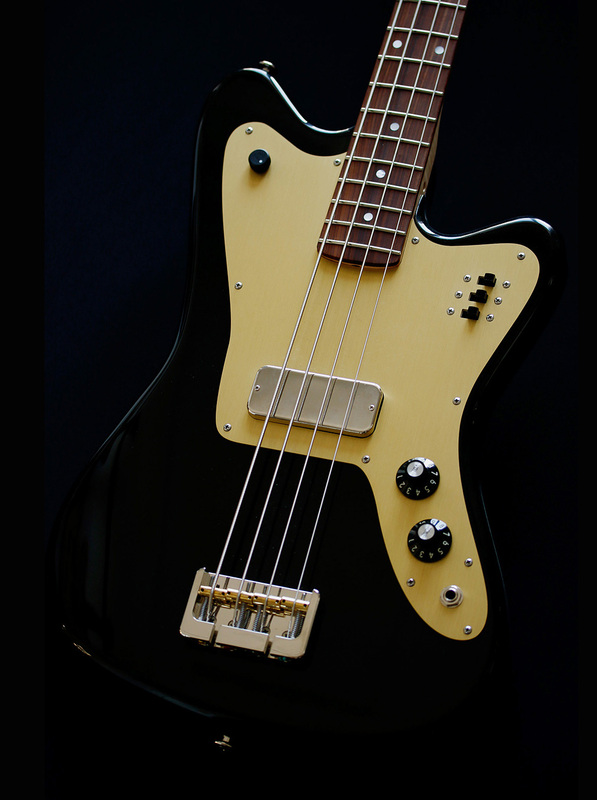 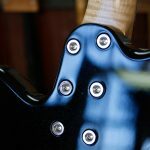 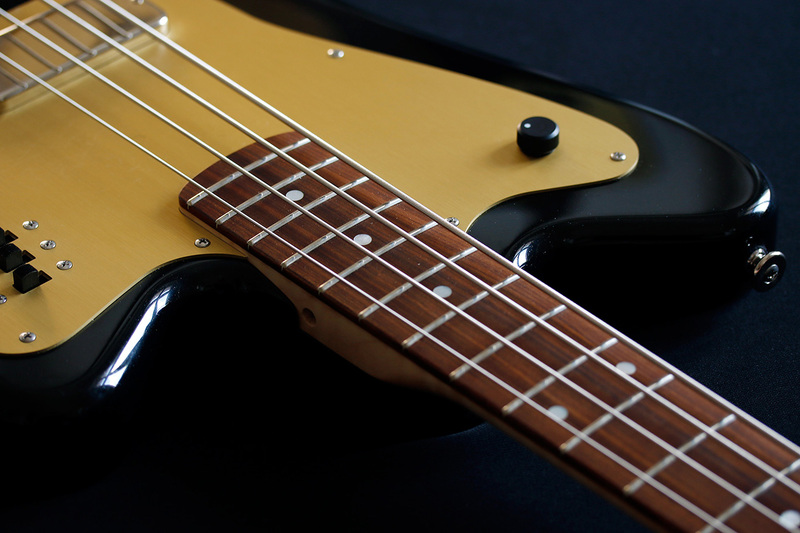 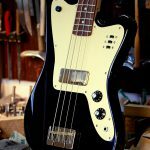 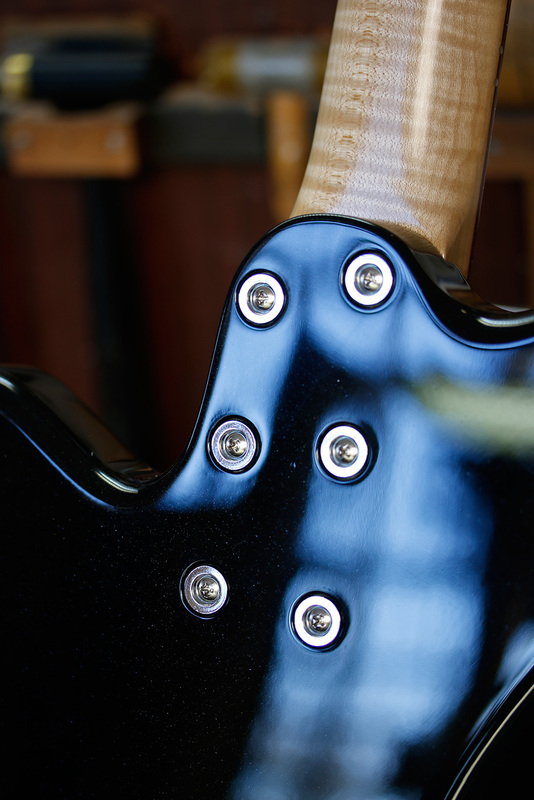 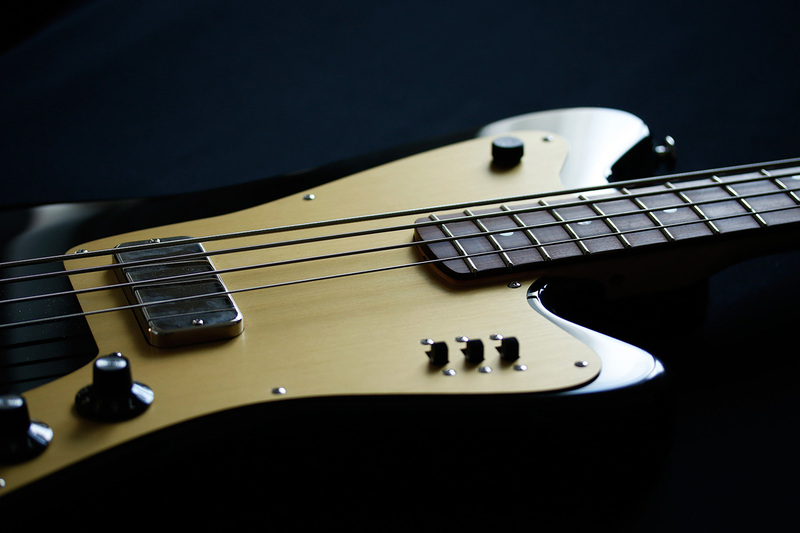 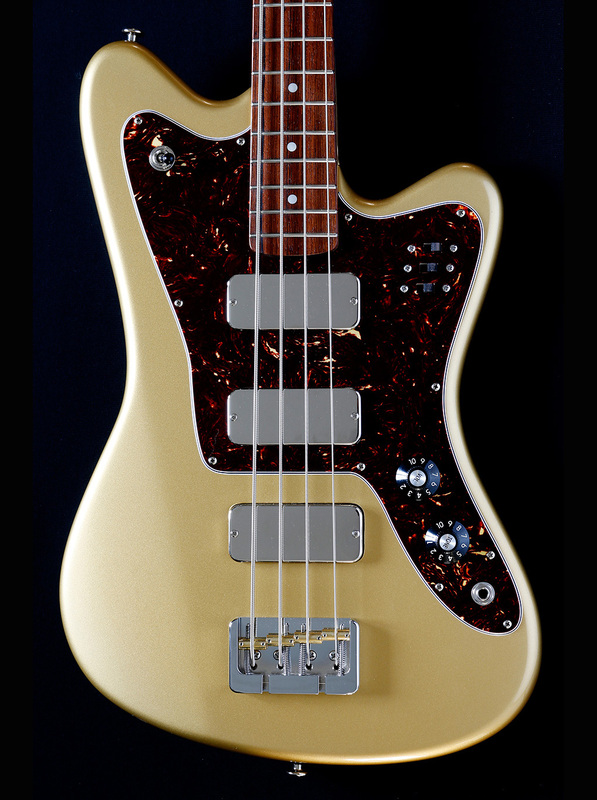 Finished in »Black Galaxy« with an gold anodized pickguard, this bass sets a classic night feeling to any occasion. 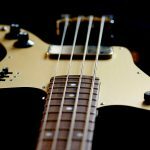 Very special and lots of bass playing fun!